Hi everyone! I’m Jay from High Horse Entertainment, a two-man team based out of Los Angeles. We started High Horse to build arcade games with modern graphics, control schemes, and an emphasis on robust online competitive play. 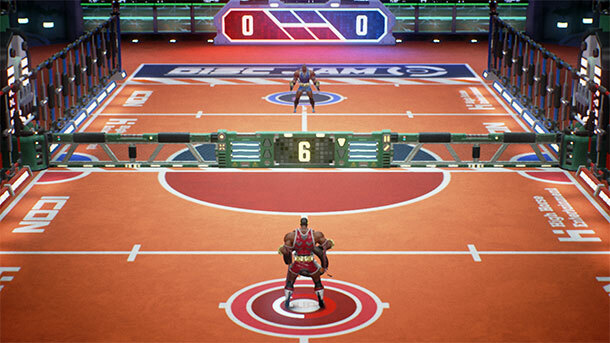 Our first project, Disc Jam, is an arcade action sport in which timing and reflexes are critical to success. If you want to check it out, you can grab a free Steam key for our pre-alpha release at www.discjamgame.com! 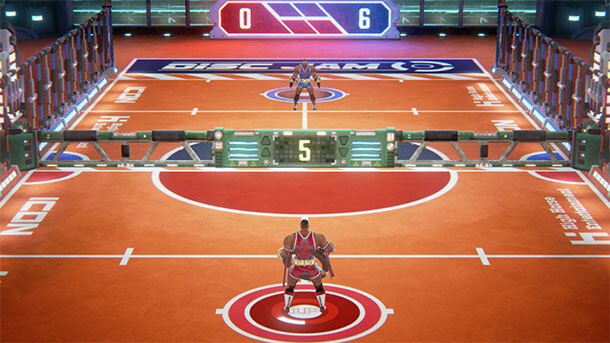 Performance is a key focus for this project because maintaining 60 frames per second is an integral part of Disc Jam’s responsive and fluid gameplay style. As a result, we’ve learned a lot of lessons targeting this framerate using Unreal Engine 4. Below, I discuss our experience working with integrated graphics processing units from Intel and how we ultimately achieved our performance target without raising our minimum system requirements. Unreal Engine doesn’t just produce high-end desktop and console games. It produces high-end mobile games too! To do so, it features a few different rendering paths in order to support the myriad of mobile devices out there in the market. The highest-end path, the one designed for OpenGL for Embedded Systems (ES) 3.1 + Android Extension Pack (AEP), is the one we’re most interested in. 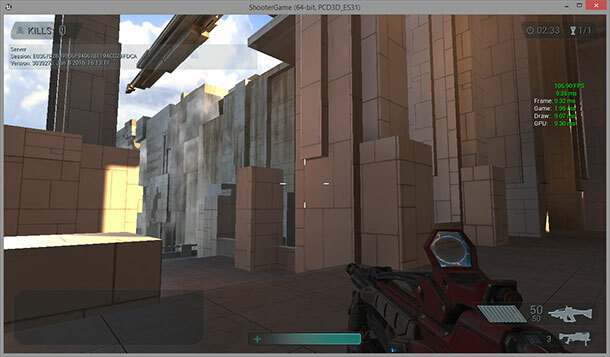 From our tests, this rendering path boasts the best performance-to-quality ratio on integrated GPUs from Intel. Running in Mobile Preview results in a ~2.5x speed up over the desktop renderer on its lowest settings. 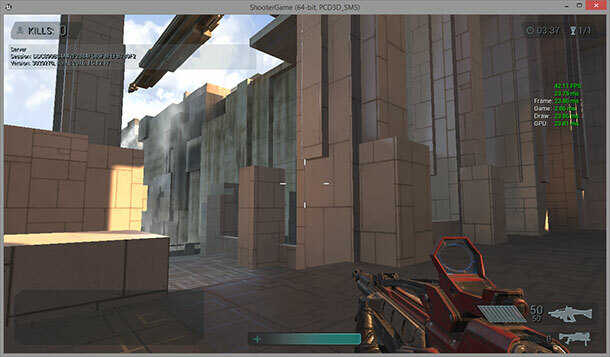 We are now well in range of hitting our target of 720p @ 60 fps on integrated GPUs! You’ll notice that there are some visual differences between the screenshots taken with the desktop renderer versus the mobile renderer. This is because the mobile renderer has some limitations especially in regards to lighting and shadowing. See the Epic documentation on Lighting for Mobile Platforms and Performance Guidelines for Mobile Devices for more information. Please note: The following sections discuss packaging and deployment on Windows. The steps shown should be relatively similar for other operating systems. 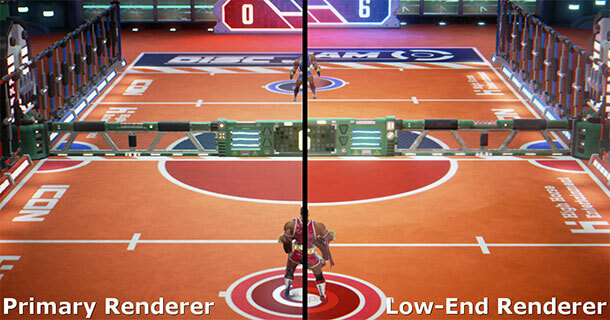 Disc Jam allows players to choose which renderer to use on startup through Steam launch options. 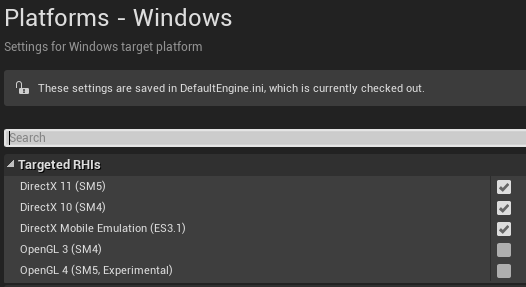 The low-end renderer choice simply launches the game with the “-FeatureLevelES31" command-line option. Read the original article onj the Intel Developer Zone blog here.